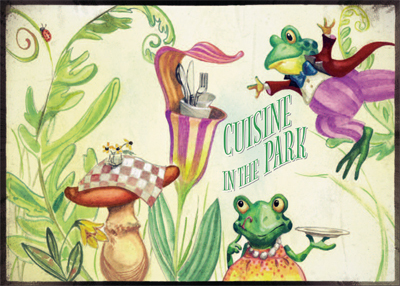 Cuisine in the Park – Tickets on Sale! Come enjoy an evening fundraiser in the park to benefit Your Ingham County Parks! Sip on a glass of wine from our local Burgdorf’s Winery or a tasty Michigan Beer. Enjoy delectable hors d’ oeuvres from Morton’s Fine Catering and be tempted by some exciting offerings in the silent auction. This years auction will include items from the State Room, Douglas J, Ace Hardware – Haslett, Potter Park Zoo, Creative Wellness, Curves and more! We thank our SPONSORS who make this night possible! Image Creative Group, Artist Barbara Hranilovich, Plante Moran Wealth Management, Physicians Health Plan, VanAtta’s Greenhouse & Flowershop and Bill MacLeod | Coldwell Banker Hubbell Briarwood. Sit back, enjoy the music and beautiful view of Lake Lansing. Tickets on Sale now! This entry was posted in Events, News by friendsofinghamcountyparks. Bookmark the permalink.